Sheriff Ronnie Fields announces the arrest of three individuals for larceny of property and scrap metal from the West End area of Moore County. On January 5th, 2019 and January 10th, 2019 the Moore County Sheriff’s Office received reports of larceny from a property located in the West End area of Moore County. Investigators identified three suspects during the investigation that followed and recovered property that had been stolen. 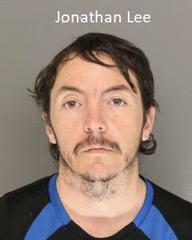 On January 13th, 2019 Investigators arrested Evan Rin Saunders, 30, of West End, North Carolina. 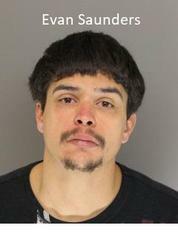 Saunders was charged with one count of Felony Larceny and one count of Felony Possession of Stolen Goods. 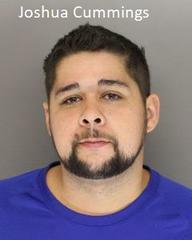 He was confined to the Moore County Detention Center under a $3,000 secured bond pending a first appearance in Moore County District Court on January 23rd, 2019. On January 16th, 2019 Investigators arrested Joshua Cummings, 31, of Jackson Springs, North Carolina. Cummings was charged with: one count of Felony Larceny, one count of Felony Possession of Stolen Goods, and two counts of Felony Obtaining Money by False Pretense. He was confined to the Moore County Detention Center under a $50,000 secured bond pending a first appearance in Moore County District Court on January 24th, 2019. On January 16th, 2019 Investigators arrested Jonathon Patrick Lee, 29, of Jackson Springs, North Carolina. Lee was charged with: one count of Felony Larceny, one count of Felony Possession of Stolen Goods, and two counts of Felony Obtaining Money by False Pretense. He was confined to the Moore County Detention Center under a $50,000 secured bond pending a first appearance in Moore County District Court on January 24th, 2019.